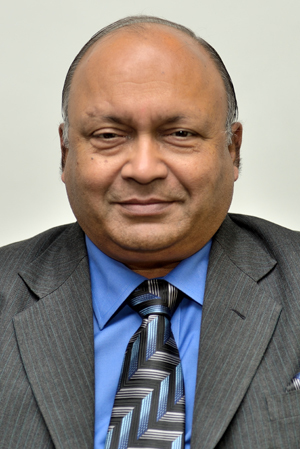 Former Director General of Police (DGP) Shri Rajan Gupta has joined DAV University as Executive Director. The 1978 batch Punjab cadre IPS officer is accredited with successful counter terrorism operations and he was decorated by the Government with Police Medal for Meritorious Services. During militancy in Punjab, he has held several major posts including S P Intelligence, Punjab, SSP of Faridkot and Hoshiarpur district respectively, DIG Patiala, Ludhiana and Jalandhar Ranges, DIG Armed Battalion, Punjab Armed Police (PAP) Jalandhar and DIG Indian Reserve Battalion (IRB)/ PAP. Post terrorism, he was entrusted responsibilities as IGP Border Range, Amritsar, Crime, ADGP Armed Battalion, PAP, ADG Crime, ADGP Internal Vigilance Cell and Human Rights, ADGP Law and Order, DGP Law and Order and Armed Battalions, DGP Punjab State Human Rights Commission, Chandigarh and Director General, Bureau of Police Research and Development, Ministry of Human Affairs, Government of India, New Delhi. Shri Gupta has taken various major Initiatives during his service in the police force. He has designed specialized training programme on Counter Terrorism to train 16,000 police personnel. He has drafted New Model Police Act, 2014 and submitted it to the Ministry of Home Affairs (MHA). He has prepared a detailed project report (DPR) of National Institute of Traffic Management and Research at Central Academy For Police Training (CAPT), Bhopal. He has also established new The Central Detective Training School (CDTS) in Jaipur and relocated CDTS Chandigarh. He has also introduced new courses for Anti-Human Trafficking in collaboration with the Government of France. He was instrumental in establishing a successful and prestigious school on the PAP campus in Jalandhar. Its present strength is 6000.